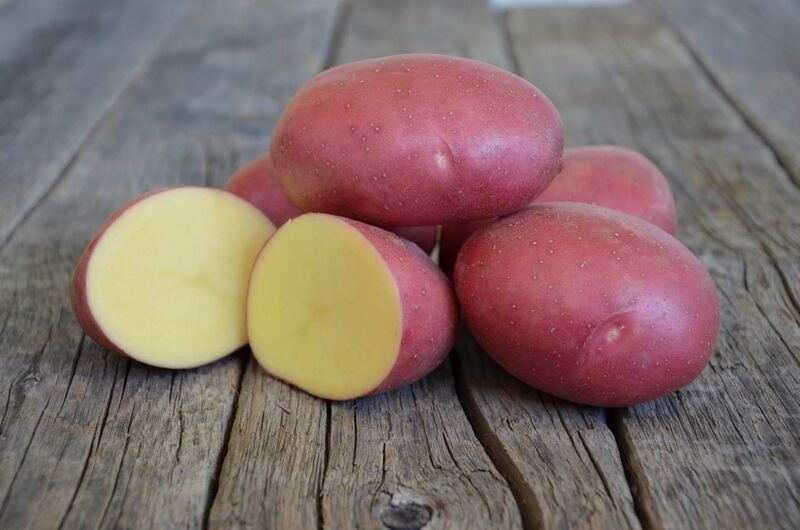 Labella produces high yields of large, red-skinned, yellow fleshed potatoes. 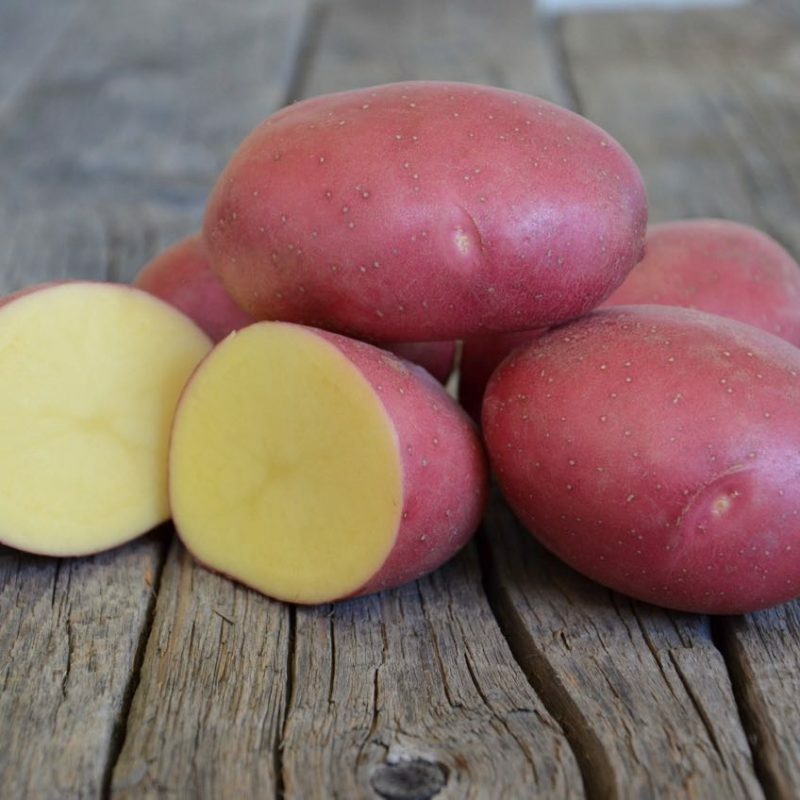 This early maturing variety is a great staple for any serious gardener looking for an early crop of large fresh table potatoes. Labella is an early maturing variety. Plant in mid-May for an early to mid August harvest. Labella produces larger uniform shaped potatoes. 75-85 days till maturity. Plant whole (or cut) seed potatoes spaced 30 cm (12”) apart. 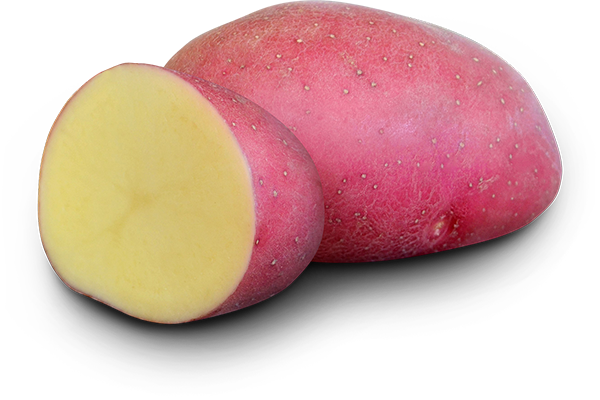 This variety is better suited for gardens or larger raised planting beds where the tubers can grow larger. It will still grow well in containers but the overall size of the tubers will stay smaller. Labella has some scab resistance and heat and drought tolerance, and is a good option for dryer soil types. Labella is perfect for hearty home cooked meals. This firm cooking variety can be mashed, boiled and baked in the oven. Labella works well for yellow-fleshed mashed potatoes due to its slightly floury texture. Tip: leave the beautiful red skin intact to add a splash of colour to your favourite mashed recipe. Labella is an excellent storage variety! Approximately 6 months at 6 degrees Celsius.